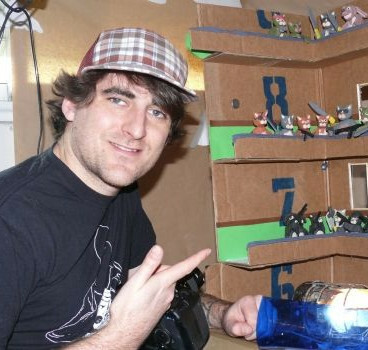 Lee Hardcastle is a stop motion animator in Britain who makes animations that ARE NOT for children. Lee is grafting away on Youtube making some of the most gory, violent but also creative and imaginative animated shorts you’re likely to see. You may have seen his work such as “T is for Toilet” from THE ABCs OF DEATH, Claycat’s The Raid, the Pingu animation that got him in some how water or one of his many, many other short films. Lee speaks openly about his quest to make a living with these crazy animations, the work he’s done for other parties’ products, and the fallout from said Pingu animation. He’s also pretty frank and honest about times when he felt overwhelmed and that projects might be going beyond what he was capable of and how he overcame these challenges. Lee Hardcastle is a dedicated and hard working independent artist who many could and should take inspiration from. We’re thrilled to have him on the show. After the jump is a select few of our favorite short films of his but please check out his Youtube channel!